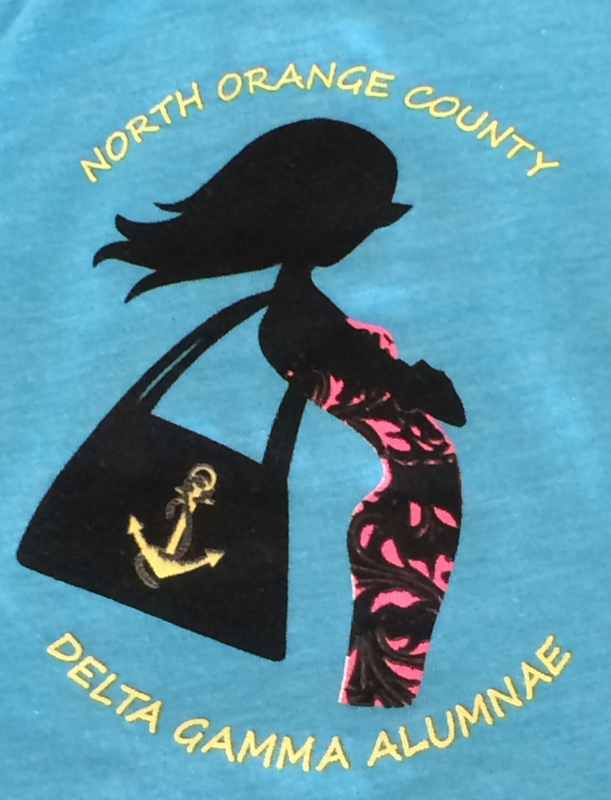 We are an Alumnae Chapter that was re-established in January 2011 and are known as North Orange County Delta Gamma. The purpose of our Chapter is to sponsor continuing sisterhood and to support each other and Delta Gamma. Fostering good feelings and good will within the group, with the collegians and in the community, are our goals. No member shall be allowed to do any harm. Don't hesitate to contact us if you are interested in joining our Chapter, would like to be added to our email eVITE list or have any questions. NOCDG T-Shirts are just $20. You get a cute tee and the proceeds go directly to support our Chapter. Our goal is to have more free and low cost events for members, and our fundraiser helps us support that. Note: They do run on the smaller side and the sizes range from S-2XL. We are ordering some roomier shirts as well, so if you'd like a larger size, don't hesitate to let Geri know. Email Geri at nocdgmembership@gmail.com to purchase yours today!